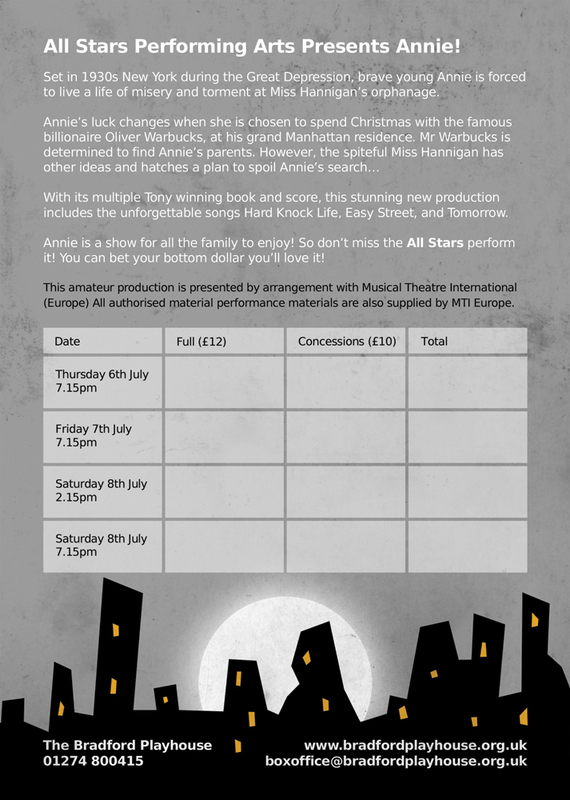 I recently designed the ANNIE posters, flyers and social media promotional material for the forthcoming summer show by the All Stars Performing Arts school based in West Yorkshire. 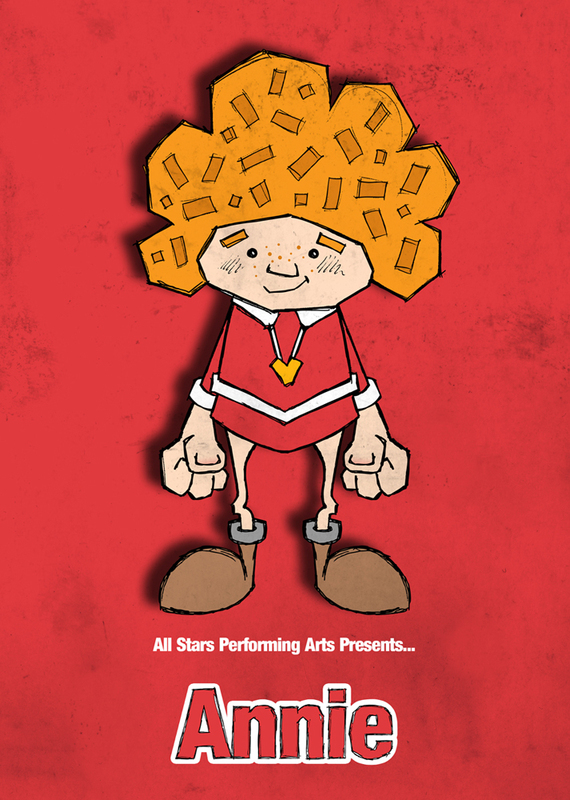 The show will take place at the Bradford Play House where tickets can be purchased via the Box Office. Set in 1930s New York during the Great Depression, brave young Annie is forced to live a life of misery and torment at Miss Hannigan’s orphanage. Annie’s luck changes when she is chosen to spend Christmas with the famous billionaire Oliver Warbucks, at his grand Manhattan residence. Mr Warbucks is determined to find Annie’s parents. However, the spiteful Miss Hannigan has other ideas and hatches a plan to spoil Annie’s search… With its multiple Tony winning book and score, this stunning new production includes the unforgettable songs Hard Knock Life, Easy Street, and Tomorrow. 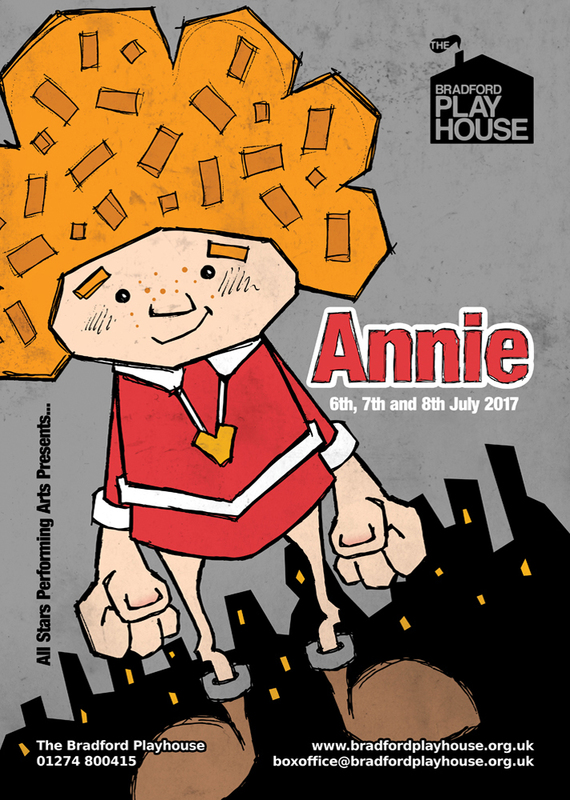 Annie is a show for all the family to enjoy! 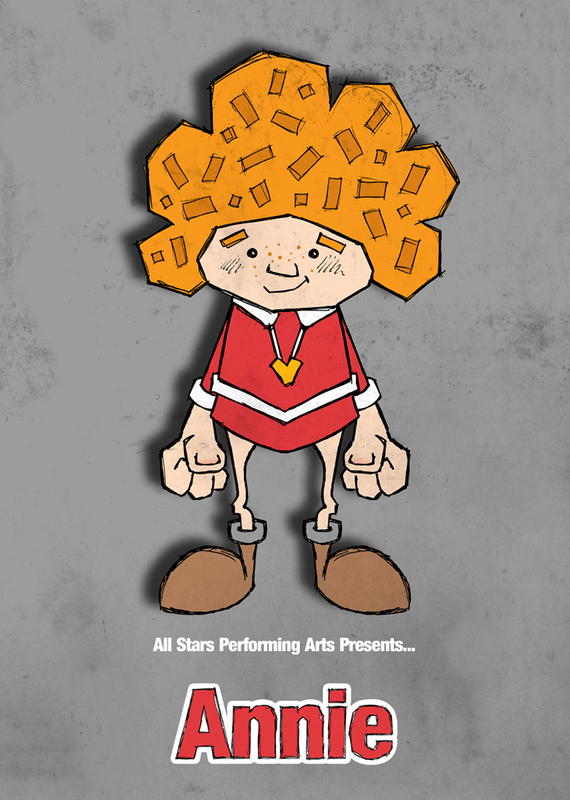 So don’t miss the All Stars perform it! You can bet your bottom dollar you’ll love it! 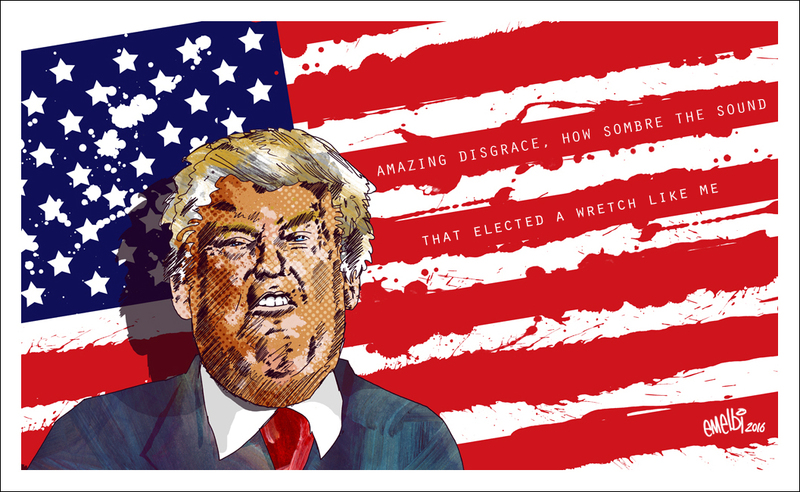 It’s not united, but this is the state of America.